Construction work is some of the most dangerous in Florida, and hundreds of construction site accidents happen each and every year. In addition to working with dangerous or hazardous equipment and tools, construction workers often have to spend long hours in the hot Florida sun, may have to work at unsafe heights, and may regularly be exposed to dangerous machinery or tools. One thing that most construction accidents have in common is that they are largely preventable if the appropriate safety precautions had been taken in the first place. Most construction accidents are due to the negligence of another. If you have suffered an injury in a construction accident due to the negligence of another, our Fort Lauderdale construction accident lawyers can help. When a construction accident was preventable, your lawyer will conduct a thorough investigation into the cause of your accident and will determine who was negligent and how the accident could have been avoided. Your lawyer will diligently examine the case to identify each and every party that should be held liable to you for the injuries that you have suffered and will aggressively fight for you so that you can get the maximum possible recovery in light of your specific circumstances. Accidents that produce crush or pinch injuries, such as a worker getting a limb or digit stuck inside a piece of dangerous equipment. Head injuries caused by falling tools or equipment. Exposure to dangerous or toxic chemicals. Accidents that involve pressure blasts that produce percussion type injuries in the ears, lungs, and other body tissues. Accidents involving drivable equipment, such as cranes and forklifts. Accidents that result from worker heat exhaustion. Failure to adhere to proper safety protocol. The injuries that are caused by construction accidents are often severe and sometimes even fatal. Injured workers often need to seek immediate medical care and their injuries can be quite extensive and require a long recovery time, rehabilitation, or long-term therapy. Sometimes construction workers suffer injuries that require them to take time off, or render them temporarily or permanently disabled. 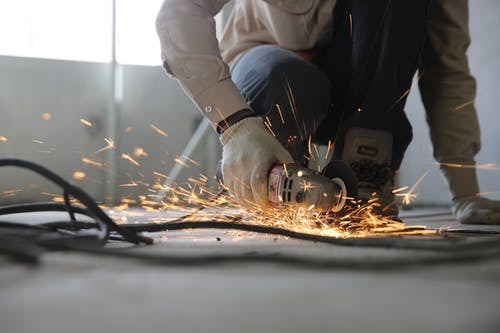 Due to the complicated nature of construction accidents, and the severe injuries that they can cause, many injured construction workers choose to work with a dedicated and compassionate construction accident lawyer. If you have been injured while on the job at a construction site, you need to reach out to one of our experienced construction accident lawyers today. We can be reached by calling (800) 95-INJURED today.